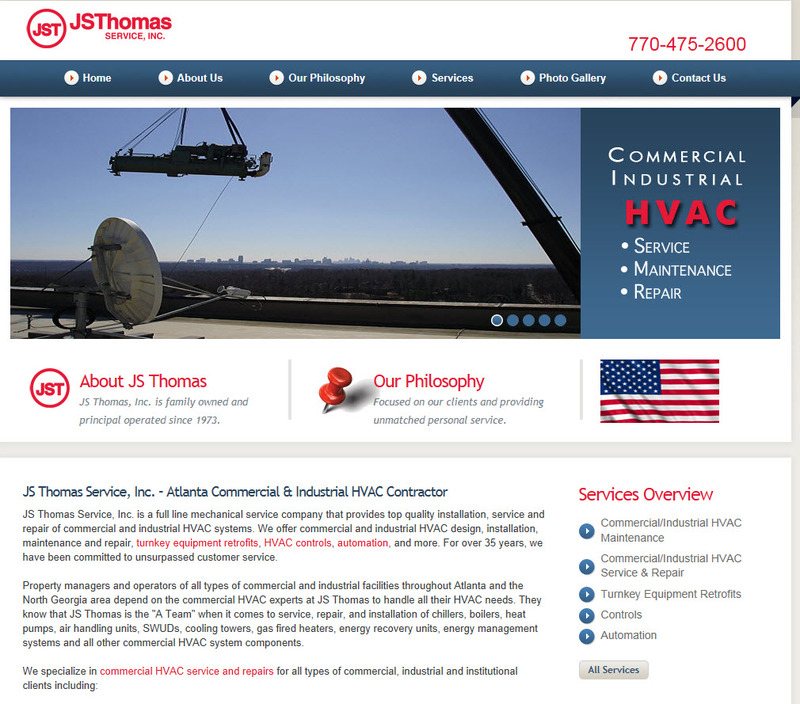 For over 35 years, the experts at JS Thomas Service, Inc. have been providing the highest quality commercial HVAC repairs, maintenance and service to commercial and industrial facilities in Marietta and all of North Georgia. In addition to top quality work, what sets our family owned and operated business apart from the competition is a commitment to direct, personal service that you won’t find anywhere else. You’ll notice the difference from the very first time you call JS Thomas Service, Inc. Your call will be answered by a real person with the expertise and experience in commercial and industrial HVAC systems to help you solve any type of HVAC problem. When you hang up the phone, you will have the confidence of knowing that the experts at JS Thomas Service, Inc. are on the job! Our factory trained technicians have decades of experience with all types of commercial and industrial HVAC equipment including chillers, boilers, air handling units, ductwork, heat pumps, cooling towers, controls, automation and other equipment. We employ only the best, most experienced commercial HVAC technicians and of course we are fully licensed and insured for your peace of mind. We can handle your Marietta commercial HVAC repairs on an “as-needed” basis or arrange a maintenance and repair program custom designed for your facility. We install new systems and have fast turnaround times on retrofitting existing systems. We are on call day and night 365 days a year for emergency service and can usually be on site within two hours to handle any problem you are having with your HVAC system. We stand behind our work and your satisfaction is guaranteed. For fast, professional commercial HVAC repairs and maintenance with direct personal service, call the pros at JS Thomas Service, Inc.